Korean actor and singer Jang Keun-suk has signed on for a role in an upcoming KBS drama, according to his agency Tree J. Company on Friday. Tree J. announced in a press release that he will be playing the role of an Indie rocker in the series, based on the web-based cartoon by writer Won Soo-yeon, tentatively titled "Mary is Staying Out Overnight. Won Soo-yeon is the writer of the comic series "Full House" whose small screen adaptation in 2004 starred top Korean star Rain and actress Song Hye-kyo. "Mary" is about a girl named Jung-in who has never been in a romantic relationship and instead has two fake marriages with two separate guys, a perfectionist and a leader singer of a band, with completely different personalities. "I feel more pressured choosing a project that involves singing. It makes me wonder if I have a set image as an actor who only plays musicians in dramas," Jang was quoted as saying, adding that he enjoyed reading the synopsis for "Mary." "I feel like I am making a return and as an actor I get the most joy in starring in a new drama," Jang continued to explain. "I am putting everything into 'Mary' and hope to show the audience something new." "Mary is Staying Out Overnight" will premiere in the country in November. 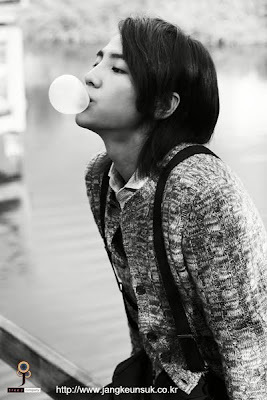 Jang, 23, rose to fame with his roles in MBC's sitcom "Nonstop 4" (2003) and "Beethoven Virus" (2008). He became a household throughout Asia last year through his role of the eccentric lead singer in the hit SBS' series "Minamishineyo." He recently wrapped up his Asia tour in Korea last weekend, which kicked off six months ago, where he met with numerous fans in Taiwan, Beijing, Singapore, Tokyo, Osaka and Hong Kong. 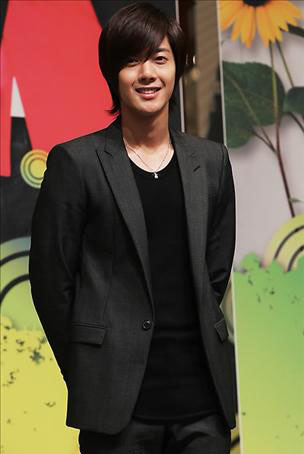 Kim Hyun Joong, who became a star actor by appearing in the drama “Boys Over Flowers,” will make a comeback to the small screen by appearing in KBS’s new Wednesday and Thursday drama “Mischievous Kiss" (written by Ko Eun Nim, directed by Hwang In Roi and Kim Do Hyung). The drama is about a genius but cynical male protagonist named Paek Seung Jo, who has an IQ of 200 and meets an impatient troublemaking female protagonist named Oh Ha Ni (Jung So Min). They will present a pleasant and cheerful love story in the drama. The lighting was bright and the colors eye-blindingly brilliant. The picture shown in "Naughty Kiss" was as warm as a spring day, enough to capture the mellow and shy sensitivity teenage girls feel when reading romantic comics. However, a drama is not a painting of a landscape. A drama only comes to life when the people in the picture move about and form relationships. This is why the first episode did not leave any impression other than confirming the skills unique of its producer. During its hour-long run, the drama failed to describe the characters in the show. 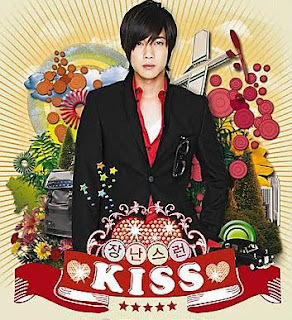 It was difficult to differentiate whether the character Baek Sung-jo (played by Kim Hyun-joong) was being arrogant or is level-headed and the portrayal of Oh Hani (played by Jung So-min), with her flat personality which is typical of the main female characters in romantic comics, failed to deliver any refreshing elements. Too add on, there was not a single character including friends, family and teacher who seemed to have been created after much thought into. Even the use of exaggerated and incoherent regional dialect of the reckless and idiotic Bong Jun-gu (played by Lee Tae-sung) was enough to make the viewer feel complacent. Such issues seem even more problematic since "Naughty Kiss" has neither an elaborate plot nor dramatic composition. The characters are the foundation, pillar and roof to comedies, and even more so in romantic comedies are made of. The colorful spoons in a restaurant, the imagination scenes which are as free as the heart of a female high school student and shiny school grounds will not be enough to capture the hearts of the audience. Because dramas exist due to viewers accepting the made-up lives in dramas as if it is their own business. Before becoming like one's diary which does not matter if left unread, will the drama be able to create a memorable kiss that will leave the viewers wanting to re-watch the show? 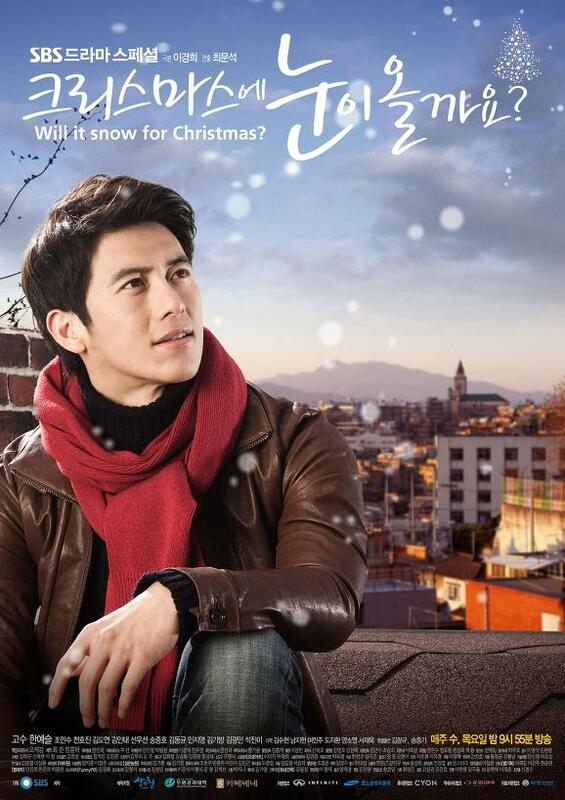 [ Korean Drama 2009 ] Will It Snow For Christmas? 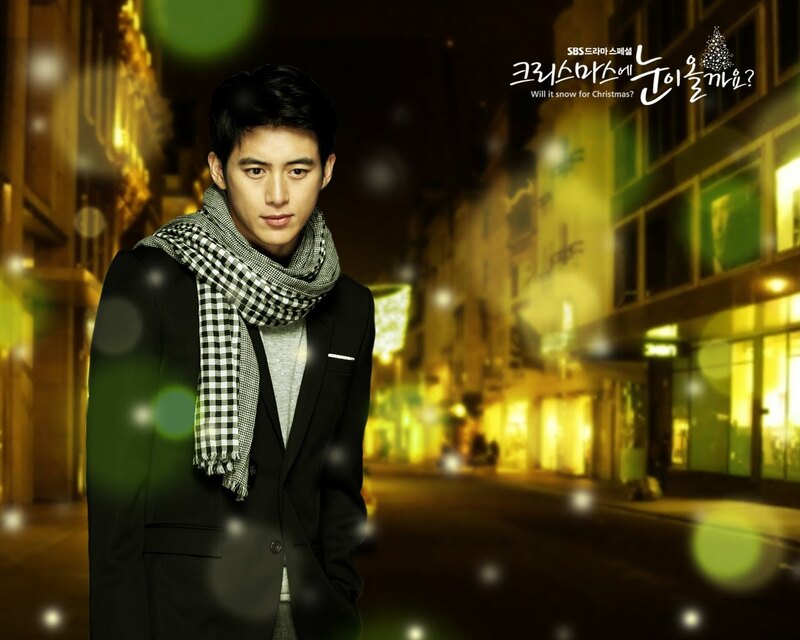 Cha Kang Jin is the son of barmaid, Cha Chun Hee. His life is difficult as he gets into fights and has to watch other people push his mother around yet he can't do anything to stop it. He meets Han Ji Wan when they were teens but they weren't able to continue their relationship as Ji Wan ran away after her older brother's death. He meets Ji Wan 8 years later when he's attending her engagement ceremony to Park Tae Joon. However, he is heartbroken as Ji Wan pretends to not remember him at all. Will ‘Athena’ Exceeds Popularity of ‘IRIS’? The spy-action drama “IRIS Season 2 - Athena: Goddess of War,” in which actor Jung Woo sung and actress Soo Ae will appear as the male and female protagonists, will be broadcast from this coming winter in December on SBS. The drama is a spin-off of the original “IRIS” drama and it is based on the original story of the KBS drama “IRIS,“ which had aired last year on KBS. “Athena: Goddess of War” is very similar to the original “IRIS” as the production company Taewon Entertainment, which had produced “IRIS,” will also produce this drama, and it has been equipped with an all-star cast and large-scale action and melodramatic storyline. But the backdrop of the drama has been expanded from the Korean peninsula and Asian countries into the whole world, and the relationships among cast members have become more complicated. “Athena: Goddess of War” will depict espionage activities of members of the National anti-Terror Service (NTS), the same organization in “IRIS,” fighting against the secret organization named “Athena” concerning the new energy source “TWR.” The drama has become a hot topic as actors who used to appear in movies, such as Jung Woo Sung, Cha Seung Won, and Soo Ae, have been cast as the main protagonists, and it already has begun filming from last June in six different countries including Italy and Japan. In the preview, which was released in the showcase event held at the Garden stage in Lotte World on August 30, the scenes depicting an explosion and gunfight, which reminded viewers of action movies, filmed in Italy were unveiled to the viewers. Choi Si Won, a member of the idol group Super Junior, will play a rookie NTS agent named Kim Joon Ho. Choi said, “At first, I was very nervous due to pressure, but as other senior actors are taking care of me as if I am their real nephew, I am filming the drama with no more pressure. Other members of Super Junior are very envious of me about acting together with great senior actors.” He was smiling while making his comments. In addition, singer BoA and actress Lee Bo Young will appear in “Athena: Goddess of War” as guest stars.